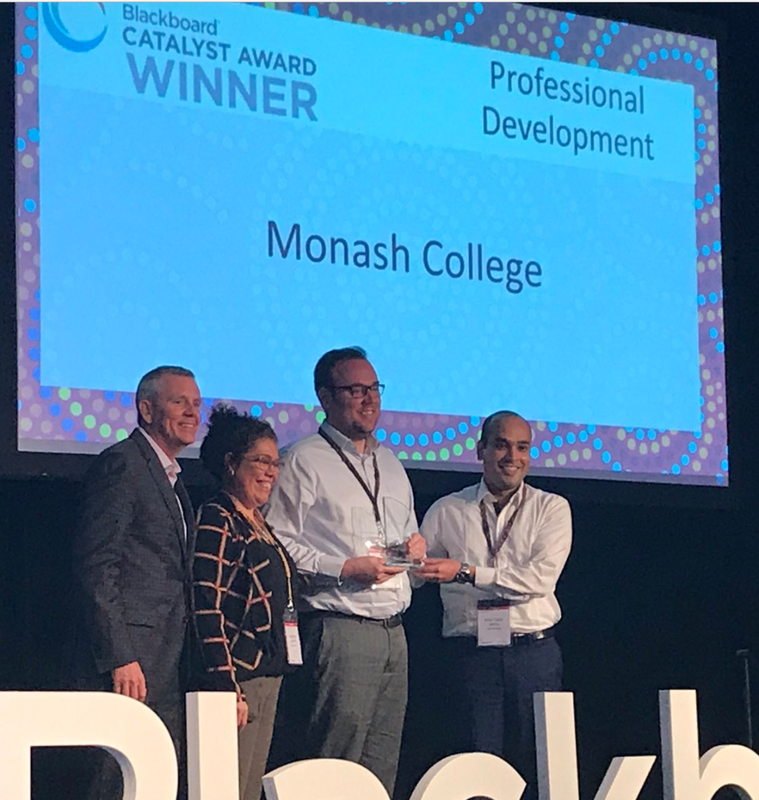 ​Monash College eLearning is on a winning streak with the 2017 Blackboard Catalyst award for professional development. Not only did they present various topics at The Blackboard and Learning Conference​ in Darwin 5–8 September, they went home with a shiny trophy. The award recognises the new delivery model using blended and flipped classroom approaches, as well as people who use Blackboard and Moodle programs to support and enhance their faculty and staff’s professional development. eLearning supports teachers to experiment with new tools within Moodle and other learning technologies to change from traditional course delivery to the blended and flipped learning. Monash College staff have embraced this new technology through their training as part of their professional development.